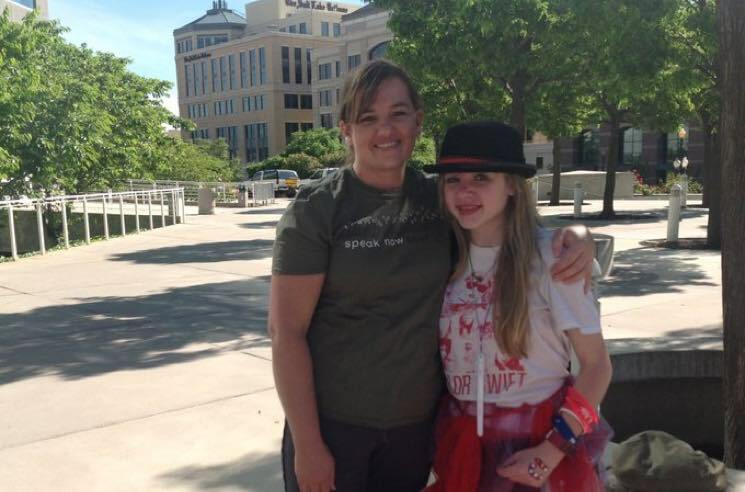 Taylor Swift donated to a GoFundMe campaign supporting a fan's sick mother over the weekend. The Reputation singer reportedly contributed $15,500 USD to the overall goal of $40,000, and signed her donation from herself and her two cats. The message reads: "Love Taylor, Meredith and Olivia Swift." Swift learned about the GoFundMe page through superfan Sadie Bartell, whose mother is in a coma. Her father has been unable to work due to the demands of taking care of his wife for the past three years, so the crowdfunding project is a means of supplementing medical bills and the costs of raising six children. When Bartell received the donation from Swift, she was understandably overwhelmed and expressed her gratitude via social media. Bartell isn't the only Swiftie in the family, though. She previously shared a photo of herself and her mom attending the singer's "Red Tour," just before the mother fell ill.